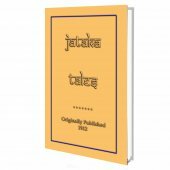 In this volume you will find 14 tales including those of HARISABOQUED, KING OF A MOUNTAIN. A LEGEND OF THE VOLCANO OF CANLAON ON THE ISLAND OF NEGROS. The volcano is still active, and the smoke and steam which are still emitted from its crater gave rise to the story. There is also the poetic story of the PERICOS BIRD and of QUICOY and the ONGLOC (the Ongoloc is known in the West as the Bogy-man). Of particular interest is their CREATION STORY. How the progeny from the marriage of the children of Gods populated the earth and how their offspring came to have different coloured skins. It is said that Filipinos have always been awed by the fairy tales and epics from other lands. This is to be expected as the Philippines has been a cross-roads on the fabled Spice Route for hundreds of years.  It is also to be expected that traders brought wonderful tales of far-off lands. From the west tales of Egypt, Arabia and India and from the North and East, tales of Siam, Sind and Nippon. 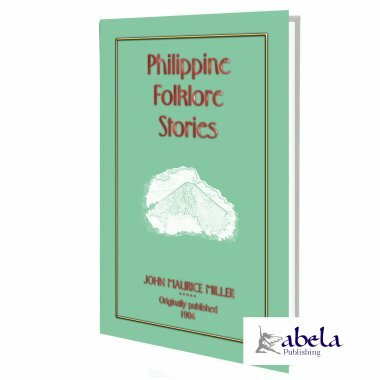 It is not surprising, therefore, that most Filipinos considered their local folklore and tales to be somewhat inferior when compared to these exotic stories. But, there is no reason for this. The myths and folk-lore of the Philippines are as beautiful and rich as those of other lands, coloured by the many people and cultures who have influenced the country. So join with us and journey back to a time when these stories were told around campfires, to the delight of young and old alike. 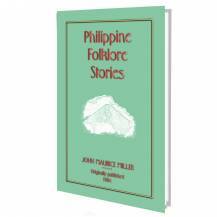 The tales gathered here share the charm, depth and variety of what it means to be Filipino. 33% of the net profit will be donated to UNICEF. The cruel king paid no heed, but dismissed the holy messenger in scorn. "Tell your master," said he, "to deliver his message in person. I do not deal with messengers. I am Loku. All fear my name. I am the great Loku."